Complete the entire look for any fireside setting with fire media. Tropitone's fire glass or pebbles enhance the ambiance by reflecting the flame's light. Different color options allow designers to create a unique statement for each club, hotel, or home. 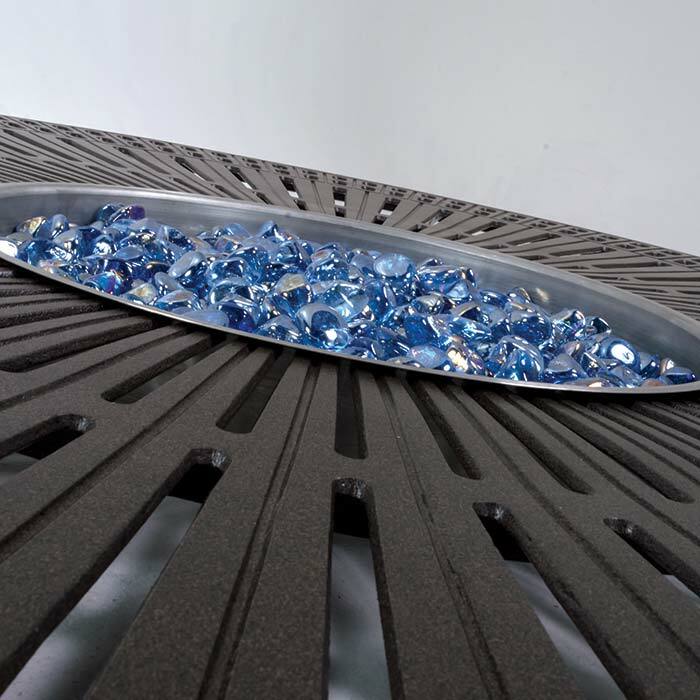 Whether the fire pit or table is lit or not, fire glass or pebbles add a decorative finishing touch.